The headlines are screaming it. Christian Today says, Top scientist claims proof that God exists, says humans live in a ‘world made by rules created by an intelligence.’ The Geophilosophical Association of Anthropological and Cultural Studies proclaims, Scientist says he found definitive proof that God exists. ChristianHeadlines.com says, Respected Scientist Says He Found Proof God Exists. At last! We now have definitive, scientific proof For the existence of God, right? Wrong! 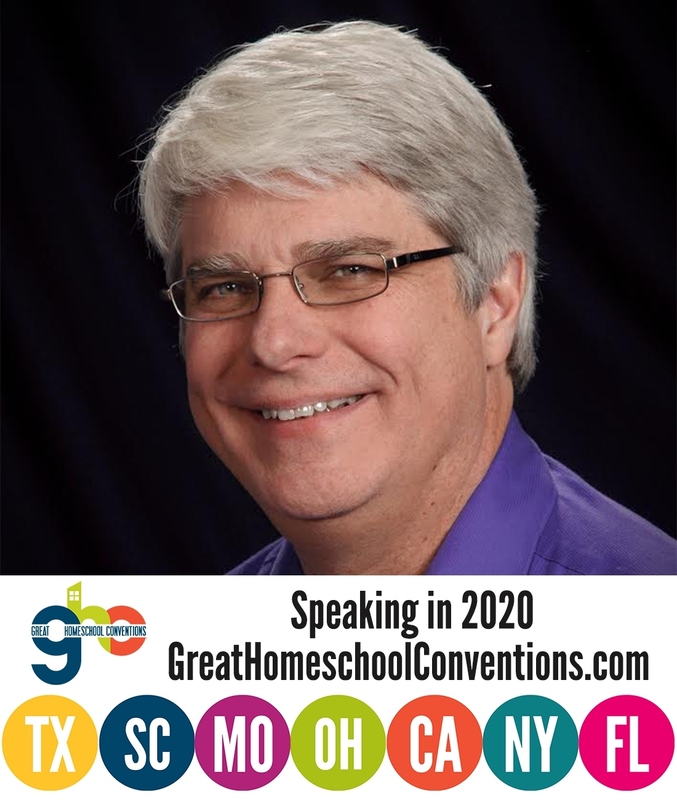 I guess this story broke when I was busy getting ready to go to Salt Lake City to speak at a homeschool convention, because I hadn’t seen it until someone emailed me the Christian Today article and asked me what I thought of it. Since then, several other people have contacted me via email and Facebook to get my thoughts. Initially, I only glanced at the article, but even with that little glance, I was incredibly skeptical. The article claims to report on the work of Dr. Michio Kaku, a theoretical physicist who had done some cutting edge research a couple of decades ago, but is more of a “scilebrity” today, promoting science and his ideas about the future on television shows, etc. However, searching for that term did lead me to some Spanish websites, which show that this is actually an old story. This website posted the same story more than a year ago. Through the magic of Google Translate, I learned that this website decided the story was a hoax more than two years ago. Apparently, the hoax started on Spanish websites and has now made its way to English websites. I think science offers a wealth of evidence to support the belief that God exists. However, as far as I can tell, Dr. Michio Kaku has not offered any. NO!… what is this… “primitive semi-radius tachyons”? 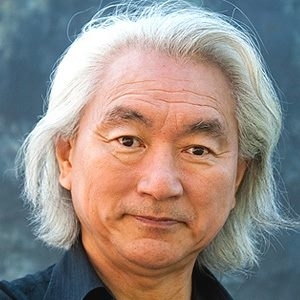 When Michio Kaku uses that word, I don’t think he means the same thing I do. Einstein used the word God a lot too, but he didn’t believe in a personal God who actually answers prayers. I know such a God exists and that He has answered my prayers. Dr.’s Kaku and Einstein are smarter than I, but God is smarter than all of us. Like you David, I have had many prayers answered by my Saviour and now depend less on faith and more on experience. I’m always happy when I read an article that speaks to God’s existence, however, I believe one of the biggest benefits of being saved is that so many things have happened in my life that Jesus has delivered me from that I no longer worry what science says! Peace! A relationship with God helps one stay grounded and not be blown about by every wind of worldly doctrine. The voice of scientists is not the same as the voice of science itself. The tendency to set up atheist scientists as sources of wisdom and answers to the deepest questions of life and the universe is more scientism than science. It closely resembles the setting up of a golden calf to worship in place of God. I don’t think we have anything to fear from the practice of true science, executed in humility, knowing its own limitations. It can’t answer every question but it can produce beneficial results, and can be a blessing from God. As you mentioned, Dr. Kaku has been featured in a number of television shows and documentaries, but from his comments on these shows, he seemed to be dismissive, if not ridiculing, the Bible and Christian beliefs. In one example I recall, Dr. Kaku mentioned that the Bible said that the end of the earth would be by fire, but “we now know that the opposite will happen. The universe and everything in it will become cold.” I would rejoice if anyone accepted the truth of Christ’s message, and I hope that Dr. Kaku will, but I agree with Jay. Given Dr. Kaku’s previous public statements, I’m skeptical. While the Universe is predicted to grow cold, dark and dilute, it is far more likely that life on Earth will be extinguished by a fiery event billions of years before the fate of the Universe has played out. Supervolcanoes and meteor collisions are two possible scenarios advanced by eschatologists. Dr. Kaku seems eager to dismiss the Bible as to make a false equivocation when his statements jump from the level of the Earth to the level of the Universe in his comparison. I think we have to be careful about the “wormholes” theoretical physics leads us into. This story may be a figment of someones imagination but it is not that far off from things that are being pushed forward by science today. Movies like “The Matrix” and the laughable “What the bleep do we know” have primed us for these ideas. Ideas such as “we are living in a computer simulation” and “the universe is observer created”. I think when we start heading this direction, we need to take a step back and see where a wrong turn was made. It’s an interesting statement. One worth considering. There are a lot of scientists challenging the current paradigm which you don’t hear about much. Even the throne holding ideas like general and special relativity are being questioned. Einstein may have been wrong. We already know of things that travel faster than light (although they are always said to be in keeping with relativity). Length contraction and time dilation just seem at odds with a rational universe. There have been some common sense (and not so common sense) discussions on Debunkingrelativity.com. There are also some people in the electrical universe movement called Thunderbolts that are playing with fun ideas. These people want to uproot very common held beliefs – like gravity. I’m ok with it. We know that some force keeps us on the ground… but do we know for sure that it is caused by curved space time? These things are pushed on our children like facts but they are just theories! Just things to consider. I think it would be very hard for this author to actually provide evidence for his or her assertions. The fact is that there is strong evidence for particles like quarks, mesons, electrons, muons, etc. They are certainly not interchangable! Also, it gets increasingly difficult to argue against relativity, since it has made several predictions that have been precisely borne out by the data. While I am a strong advocate of considering alternative ideas, those ideas must be consistent with the data that we have. While the math behind relativity may be sound – the overlying concept may be faulty. Relativity and quantum physics are not compatible – it doesnt make sense that a large world to be so at odds with the building blocks that make it up. Einstein himself was never satisfied with relativity and wanted to unify everything into one underlying force – Theory of Everything. He was working on these ideas when he died. This same urge to find a force that describes everything has been a intuitively nagging at scientists for ages. It was partially confirmed when Faraday helped join magnetism and electricty into electromagnetism. Nikola Tesla also felt very strongly that all forces were related to magnetism / electricity. He also hated the idea of curved space time. I already know what this force is. It’s the word of God. The first vibration that stirred a still ocean into a symphony of creation. It’s incredible that science is pointing this direction… finding objects to be nothing more than oscillations or notes in the Ether. Regardless of whether or not a particular scientist liked the concept of curved spacetime, it has made all sorts of predictions of real, measurable things that have subsequently been confirmed by the data. I am not just talking about mathematics. I am talking about real, measurable things like time dilation, frame dragging, gravitational lensing, gravitational redshift, the geodetic effect, and gravitational waves. Thus, it is hard to believe that relativity has no basis in reality. Now, of course, it is true that relativity and quantum mechanics (in their current formulations) are not compatible, so there are still some questions that remain to be answered. Most likely, neither theory is correct in its current formulation. However, it is clear that both theories have some basis in reality, since they are both so good at making predictions that are subsequently verified by the data. Pythagoras got it right and science has been spinning its wheels for 2500 years. I wonder if pythagorean theorem may be applied to the resonance of the strings in string theory? I have been trying to find out if that is how matters frequency is determined. If that’s the case, than the unifying theory of all things has been under our noses the whole time. We just thought it was music theory. That’s ridiculous. Tell my electron microscopes in the lab that electrons aren’t “real particles.” (whatever that author’s definition of a “particle” is). Ditto for the ion microscopes… which detect secondary electrons when the ions impact the sample surfaces. I wonder what his views on electricity are? I respect your opinion as a fellow human and Christian. I’d disagree with the proofs offered of time dilation. Contrary to popular belief, GPS sat navs do not rely on relativistic corrections. There is a great book on this by one of the originators of many of the original GPS algorithms. Muon decay and atomic clocks also may have other “forces” at play which affect their timelines. Similar to water boiling faster at high altitudes or food living longer in a fridge. If we did not know the underlying principles of atmospheric pressure and bacterial chemical reactions then we might ascribe these phenomenon to relativity. I’m just asking people to keep an open mind. Relativity and quantum uncertainty are defended with such voracity that they are scientific dogma. Ereditato’s resignation at Cern, due to the backlash of simply suggesting something might have broken the light barrier, is evidence of this (He was just relating data from the team). The implications of these theories boil down to life as a big crap shoot. I personally think our creator is of a different mind. I respect your opinion as well, John, but it is hard to dismiss the real, measured confirmations of general relativity. In addition, the GPS does, indeed, depend on general relativity, as well as special relativity. Here’s a more detailed discussion from the National Institute of Standards and Technology. The very fact that the Global Positioning System works tells us that general and special relativity contain at least some truths. It is always possible that there are unknowns at play, but please remember that time dilation, which has been observed in many, many different situations, corresponds precisely to the equations of general and special relativity. Given that these theories predicted the effect and their equations describe the effect perfectly, it is more reasonable to believe the theories than it is to blame unknown forces for the observed effect. I agree with keeping an open mind. No theory should be taken as dogma. However, keeping an open mind means accepting the weight of the experimental evidence, which indicates that there is some truth behind both special and general relativity. I am not sure why you claim, “The implications of these theories boil down to life as a big crap shoot.” In fact, they say the opposite. Both special and general relativity are based on the assumption of natural laws that cannot be changed as a result of motion. Rather than being a “crap shoot,” then, these theories assume there are absolute laws that govern how the universe operates. This is, of course, exactly what you would expect of a universe created by God. Thank You. But if a cat can be both dead and alive (Schrödinger’s cat) and a particle can exist everywhere at one time, only assuming locality when observed (double slit) then the universe is undefined goo. The implications of these theories are leading scientists down some weird paths… multiple universe theory, string theory, etc. I will make a bold prediction that Relativity as we understand it will fail this decade. If I’m wrong then maybe we can laugh about it over a pint! You seem to be confusing quantum mechanics and relativity, John. Schrödinger’s cat is related to quantum mechanics, not relativity. Indeed, while Einstein was a strong advocate of his special and general theories of relativity, he was deeply skeptical of quantum mechanics. In addition, Schrödinger’s cat is an illustration of a particular interpretation of quantum mechanics (the Copenhagen interpretation). There are many interpretations of quantum mechanics that all accept the theory but draw different conclusions about what it means. Many of those interpretations don’t require weird paths. Hatch’s alternative viewpoint might give an alternate reason for the GPS correction, but he cannot argue that the GPS needs correction and that correction is properly given by general and special relativity. Once again, when the theories predict the effect and their equations describe the effect, it is most reasonable to assume that the theories are correct. Any alternative theory that comes up with an explanation after the fact is not nearly as reliable, since it is easier to explain an effect than predict it! I will make the bold prediction that in this decade, general and special relativity will require some tweaks, but they will be further confirmed by more experiments. What makes you think we’ll see they need tweaks within the decade? I was really hoping we could possibly make measurements pertaining to quantum gravity using gravitational waves from black hole collisions, but even there you only need “classical” GR and the quantum corrections would be too small to see. I think we will need tweaks because there is still a fundamental inconsistency between quantum mechanics and relativity. Since quantum mechanics is so wildly successful at micro level, and since relativity is so wildly successful at the macro level, they each clearly contain a lot of truths. However, since they fundamentally disagree with one another, that means there are some problems with one or both of them as well. My guess is that each of them is incomplete. I suspect that over the next 10 years, we will have enough evidence to at least start to understand their incompleteness, and that will produce tweaks in each. But where would we see it? I suppose I haven’t looked into tests of quantum gravity, but I can’t imagine where we’d get data that would bear on the question. Even if we find new particles at the LHC, that might tell us about dark matter or supersymmetry, but not anything like string theory. I guess we could see Randall-Sundrum gravitons. It’s entirely possible something completely unexpected will appear, but the quantum gravity regime is just so unreachable that I don’t think it’s likely. It’s awfully hard to predict what new discoveries will be, but consider the work of Dr. John Moffat. He thinks that the need for so much dark matter in the universe is actually a problem with general relativity. Thus, he thinks general relativity should be modified. He thinks that the curvature of spacetime is shaped by a vector field that actually carries mass. As a result, the strength of gravity varies slightly over very long distances. This can actually be tested, because his modification of general relativity predicts a different shape for the ring formed by light that orbits very close to (but not at) the event horizon of a black hole. Since a goal of the Event Horizon Telescope is to detect and measure that ring, it’s at least possible that Moffat’s view will be confirmed, resulting in a tweak to general relativity. Moffat isn’t a MOND proponent. His theory is referred to as MOG (modified theory of gravity), and it truly is a tweak of general relativity. Oops – guess I learned something! I’ll ask my astro friends about it. I love your level headed response. I didn’t take the time to read the article about the proof because… well it just doesn’t seem right. Besides, as far as I know, the only place “proofs” are found are in math and formal logic. Everything else is just strong arguments and weak arguments. When people demand that I “prove” that God exists, I wave my arm around and say, “How much proof do you want?” I guess I should change that to “How much evidence do you want?” Anyway good article, as always. If you like the ideas of Moffat, you may also enjoy reading Dr. Myron Evans. He is attempting to unify the theories using a torsion based or twisted spacetime. Even though I personally don’t resonate with universal “fabric” and prefer an ether / field theory, I think the the maths and hard work by all physicists will prove useful in whatever direction we head. There is a great Indian parable about 3 blind men arguing about what an elephant is. Since they are blind they can only use touch. One has the tusk, one has the little tail, and the other has got the big trunk of a leg. Obviously they all have VERY different and seemingly incompatible descriptions. Each considers the other to be foolish and wrong. Ah but if they could see – How they would agree! I have just been searching the internet and, so far, the only evidence I have found for this story is the YouTube video – with accompanying transcript – uploaded 3 years ago. I do not know why it has suddenly become a big story. Maybe he believes in something like the God of Spinoza that Einstein talked about. I find it interesting that these ideas of vibration are so compatible with Christianity. “In the beginning was the word”. A heavy concept! Creation is truly Gods language. If we are created in his image then we can draw inferences from the way our own voices create words and conjure ideas through oscillation of the air around us. This is why I love the Ether model so dearly. I hope we will find that all objects are resonant holding patterns iin the ethereal ocean. In. J.R.R. Tolkiens Silmarillion (a modified creation story), the creator makes the universe by literally singing objects into existence. Wonderful! I love that concept. You may also like Calvin Miller’s the Singer Trilogy. The term Tachyons occurs in about a hundred documents on my computer. It's a well known term in physics, though, correct, theoretical at the current time. Of course the term “tachyon” is an accepted term, Liora. This is why I point out in the post that such particles have the property of traveling faster than light. However, the term “primitive semi-radius tachyon” seems to be completely made up. Our finite minds cannot comprehend God. He is a spirit that always was and always shall be. We will never know all the answers that so many seek. Besides we would never be able to wrap our puny little brain around it. Just be satisfied with the life we were given and make the best of that. Don’t try to analyze or theorize about answers that you will never find or even need to know. Not a certified astrophysics, but I studying physics for 40 years, I do have a solution of our existence. Using the string theory and 11 dimensions, our existence is only a peice of the pie. I have to say, John, that the author doesn’t seem to understand what he is writing about. The “tired light” hypothesis does not say anything about the light fading. It only explains the redshift. Thus, it doesn’t solve Olbers’ paradox. Also, the “tired light” hypothesis has been falsified by the Tolman surface brightness test (http://www.reasons.org/articles/tolman-s-elegant-test). I’m not a young-earth creationist, but I have a real hard time believing soft tissue could survive millions of years. Therefore I am skeptical that the dinosaur fossils are millions of years old. But, Dr. Wile, as a chemist what do you think of his claims in that article? The author of that article is a chemist, but I’m afraid his desire to convince people in an ancient earth has clouded his chemical judgement significantly. He basically says the structure of collagen and its association with bone makes it really stable. I agree. It’s stable. However, serious tests have been done that show even at 0 degrees Celsius, collagen would decay to the point that it is not detectable in 2.7 million years. At 20 degrees Celsius, it is not detectable in a mere 15,000 years. Thus, the idea that it could last 65 million years in constantly changing temperatures is absurd. Also, it’s not only collagen that has been found. Red blood cells have also found. They don’t have the robust structure of collagen, and they aren’t stabilized by their association with bone. Even if I were to ignore the scientific literature when it comes to the decay of collagen, then, his reasoning doesn’t apply to other biological molecules that have been found. Finally, most old-earthers don’t agree with him, either. Rather than blithely saying that it’s not surprising, most evolutionists are desperately seeking an exotic mechanism to explain these soft tissue finds (see here and here). I love the question of Olbers paradox. The idea had originally occurred to me independent of reading it I think it had happened when playing music and was waiting for the sound to die down. Anyway, seems like everyone wants to claim the Tolman test as their own – both expansionists and statics alike. This article has an excellent discussion of how the Lerner paper referenced in your first link is not really evidence for a “tired light” universe. It also gives other reasons the “tired light” idea doesn’t work. Fading is not a rational result of “tired light.” Wavelength and amplitude are independent aspects of a wave. When you change the energy, you change the wavelength, not the amplitude. Also, when you have energy loss, you increase the wavelength (longer wavelengths correspond to lower energies). Thus, in a “tired light” universe, there would be energy loss and an increase in wavelength, but not a change in amplitude. You need a change in amplitude to change the brightness. I didn’t read much of the “interesting thread” link you gave. It seems like a bunch of people insulting each other and talking past each other. The more modern tired light theory link you provided isn’t really a paper on the theory. It is an attempt to explain an observation that rules out the “tired light” theory by using a computer program that essentially introduces ad hoc parameters which can be freely varied in order to force the observations into agreement with the “tired light” hypothesis. This brings up yet another problem with the “tired light” hypothesis. One has to keep introducing new, unexplained mechanisms in order to force it into agreement with observations that are easily explained by an expanding universe. Nice article. I’ll agree with you that mechanisms unknown have to exist for the theory to work backwards and forwards. But isn’t that what dark energy and dark matter are to the standard model? There were some great comments in that article as well. Very thought provoking stuff. We’ll see what scientists make of the CBR data that keeps coming in. Some of it seems to confirm Allais’ anisotropic universe. He was an ether proponent as well. Have you read his work on eclipses affecting gravity (In the form of pendulum swing)? I agree that dark energy and dark matter are definitely ad hoc additions to the Big Bang, which is one of the many reasons I don’t like the Big Bang. I am willing to believe in either, of course, but right now, they are more model-justified than evidence-justified. I haven’t read any of Allais’ work, but I agree that the universe is anisotropic, which is yet another reason to dislike the Big Bang. Let’s wait and see what happens. As it is written, “many will run to and fro and knowledge will increase”. Dr. Wile, thank you for your response to my question about the “Reasons to Believe” article (replies were nested so deeply, I couldn’t reply directly there.) I really appreciate you taking the time to look up an article with real data and point me to it, and to other relevant articles. Extraordinary claims require extraordinary evidence to back them up. I’m not seeing anyone cite experiments or hard data showing that it is possible for soft tissue to survive tens of millions of years, whether or not the molecule chains are cross linked. But you did point me to data showing the opposite. Therefore, I think that those dinosaurs aren’t that ancient. That’s a hard question to answer, Jeff. First, science can’t prove anything, so there is no such thing as scientific proof. There is only scientific evidence. Second, it is very hard to provide evidence for a negative. There are philosophical arguments against God’s existence, and those arguments are often bolstered by scientific evidence. So, for example, the argument from evil is an argument some have used to deny God’s existence. It can be bolstered by the scientific evidence of pervasive medical problems, terrible natural disasters, and even cruel things that happen in the animal world. Also, some people think that certain scientific theories (like the theory of evolution and the Big Bang) make belief in God unnecessary. Of course, I think the evidence for God’s existence far outweighs any arguments against His existence.